If you like SEO tools and you’re a fan of free stuff, you’re going to LOVE this list of free SEO tools. The list is organized into 11 categories, and each category broadly describes a popular SEO task (e.g., Backlink Investigation, Keyword Research, SEO Analysis, etc.). I’ve included a brief overview of each tool’s free functionality (some of the tools are freemium), screenshots, videos, and links to documentation for the more complex tools. Hopefully, this resource will give you everything you need to start mastering these amazing tools. For years, your site’s backlink profile played a vital role in your site’s ability to rank well in the search engines. Now, in the post-Penguin era, that backlink profile is more important than ever. With that in mind, the following free SEO tools will help you investigate a site’s backlink profile. After Yahoo! Site Explorer’s untimely demise in 2011, Open Site Explorer (OSE) became one of the most popular backlink checking tools. OSE uses the freemium model, and without an account, you are limited to running 3 reports per day. If you register for a free account, you have access to 1,000 backlinks for a given URL, and the first 15 backlinks include additional information such as the link’s anchor text, Page Authority, and Domain Authority. Each report also includes summary information about the requested URL: its Page Authority, Domain Authority, number of linking root domains, and number of total links. Majestic SEO Site Explorer is another popular backlink checking tool, and like OSE, it uses a freemium model. Without an account, you are only able to access general summary information about a requested URL or domain (e.g., number of referring domains, number of external backlinks, number of referring IP addresses, etc.). If you register for a free account, you receive additional summary information (e.g., a backlink breakdown), and you also get access to the top 5 backlinks, top 5 referring domains, and top 100 pages (based on the number of referring domains) for your request. 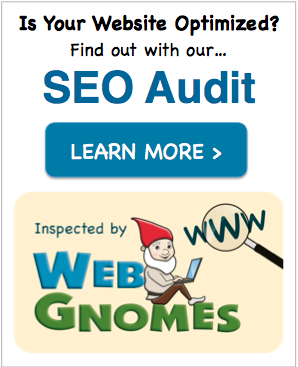 For more information, read Julie Joyce’s Majestic SEO review. Ahrefs is one of the newest backlink checking tools, but it already has a very loyal user base. Similar to most of its competitors, the tool uses a freemium model. As a guest, you are allowed to perform 5 requests per day, and if you register for a free account, that allowance increases to 15 requests per day. Each request returns a backlink overview as well as specific information about individual backlinks (for free accounts, only the first 5 backlinks display additional information). The backlink overview includes information such as the total number of backlinks, the number of referring domains (and a corresponding TLD breakdown), and a breakdown of the backlink types (e.g., text, image, nofollow, etc.). For a given request, free accounts receive access to the first 500 backlinks. The first 5 backlinks display the link’s Ahrefs rank, source URL, source title, destination URL, anchor text, type, and crawl date. However, the remaining backlinks only display the link’s Ahrefs rank, source URL, and source title. For more information, check out Eric Covino’s Ahrefs Review. 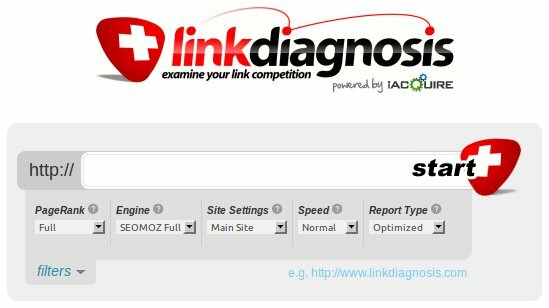 Link Diagnosis is a completely free backlink checking tool, but unless you install the corresponding Firefox extension, you will only receive a limited view of the results (the “lite report”). Without the Firefox extension, the tool displays the first 250 backlinks, along with each backlink’s anchor text, mozRank, Page Authority, and Domain Authority. 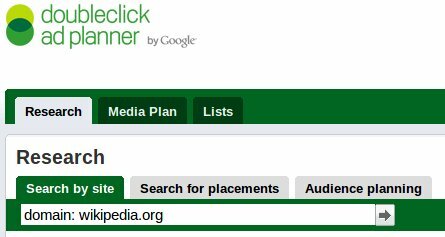 With the extension installed, the 250 backlink restriction is removed, and the tool presents each backlink’s title (i.e., the title of the linking page), link type (e.g., nofollow), PageRank, outbound link count, modified outbound link count, and LinkStrength (in addition to the information displayed without the extension). 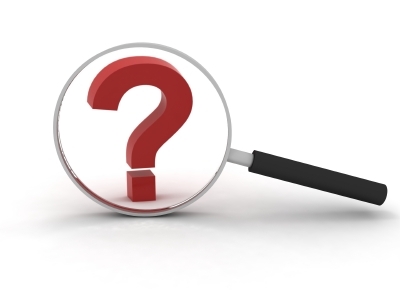 When diagnosing an SEO issue, it is often useful to investigate the site’s Web server. Whether it’s identifying a server’s technology stack, uncovering the source of performance bottlenecks, or troubleshooting HTTP headers, the following free SEO tools can help. The tool also provides a simple SEO profile, which checks a page’s title, meta description, H1 tag, content keywords, images, response speed, and social sharing. Pingdom offers a free online tool that analyzes a URL’s load time. You simply enter a URL, and the tool displays a summary of the page’s load time, size, and number of corresponding HTTP requests. As the screenshot shows, the tool also presents a waterfall visualization that displays the load time and size of each of the page’s objects. URI Valet is a free online tool that displays the HTTP headers exchanged during a request for a given URI. The tool also presents a summary of the corresponding HTML’s <head> tags and a breakdown of the various objects (e.g., scripts, images, etc.) that are downloaded when accessing the URI. SpyOnWeb identifies multiple sites that probably belong to the same owner. On the backend, the service clusters sites that share an IP address, Google AdSense ID, Google Analytics ID, Yahoo! Publisher Network ID, or Yandex.Direct ID. Then, when you query a website’s URL, the tool presents a list of sites that have been clustered together with that URL using the previously listed information. One of the best ways to identify SEO-related problems with your site is to crawl its pages and look for issues. These issues can be markup-related (e.g., duplicate titles), or they can be link-related (e.g., broken links). 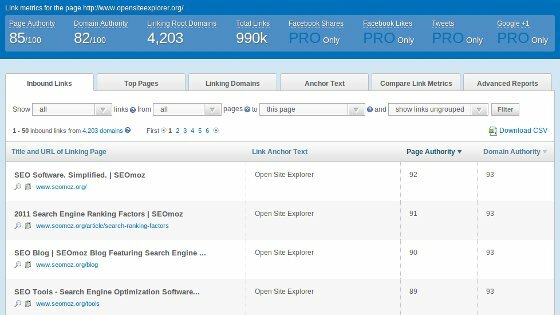 The Screaming Frog SEO Spider Tool is a freemium desktop application that allows you to crawl and analyze the pages on your website. The tool is free for the first 500 URI requests and £99/year after that. Xenu’s Link Sleuth is a free desktop application that checks for broken links on your website. The tool also displays page titles and meta descriptions, but its primary purpose in life is to quickly crawl a website and identify the status codes of the site’s links. Link Checker is a free online tool that checks the validity of links for a given URL. You simply enter a URL, and then, the tool recursively checks the URL’s links for URI scheme errors, redirects, and error status codes. Your site’s on-page ranking factors are derived from the site’s content and markup. Consequently, it’s extremely important that you optimize the content and minimize errors in the markup. SEO Browser is one of the oldest free SEO tools, but it is still incredibly useful. The tool is 100% free, and it offers two modes: Simple and Advanced. The Simple mode displays a given URL like a text-based Web browser (e.g., lynx). The Advanced mode provides a text-based view of a URL, and it also includes useful information that summarizes the URL’s content (e.g., page title, meta tags, page size, word count, IP address, etc.). Copyscape is an online duplicate content detection tool that uses a freemium model. You simply enter a page’s URL, and the tool returns a list of pages that are duplicating the URL’s content. With a free account, the tool only displays the first ten results, and the tool only allows a certain number of monthly requests for any given site (this limit is irrespective of the IP submitting the request). The Markup Validation Service is a free online tool that checks the markup validity of the Web document associated with a given URI. You simply enter a URI, and then, the tool checks its correctness (based on the syntax of its document type). Finally, the tool displays an itemized list of errors and warnings (with corresponding line and column numbers) that it finds during the validation process. When attracting potential customers, it’s important to speak their language. If your site isn’t using the keyword phrases that people are searching for, those people will have a difficult time finding you. Fortunately, a number of free keyword research tools exist. The AdWords Keyword Tool is one of the most popular free keyword tools available. The tool gives you three options for querying keywords: (1) input a list of keywords, (2) input a URL, which the tool scrapes to identify keywords, or (3) select from a predefined list of categories. Once you select a querying method, the tool allows you to slice and dice the results using a variety of filters, match types, and keyword term inclusion/exclusion lists. To learn more, visit Google’s help page for Using the Keyword Tool. It answers popular questions and offers helpful videos that showcase the tool’s functionality. Wordtracker is one of the oldest keyword research tools, and it uses the freemium model. With the free version, you enter a keyword phrase, and then, the tool presents up to 100 related keywords, along with estimated search totals. Ubersuggest is a free online keyword suggestion tool that uses Google Suggest (and other suggest services) to generate a list of related keywords. You simply enter a keyword phrase. Then, the tool adds a letter or digit in front of your phrase and displays the corresponding suggestions. 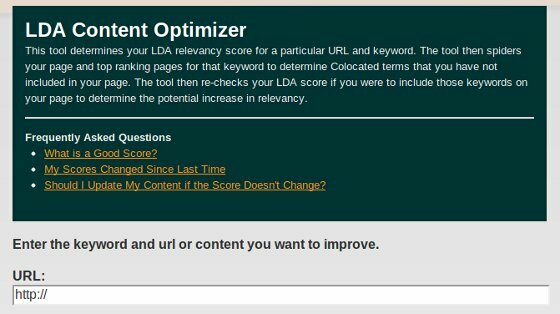 LDA Content Optimizer is a free online tool that analyzes a given URL’s content to identify relevant keywords, which are currently missing from the page. To use the tool, you enter a URL (or a block of content) and a targeted keyword. 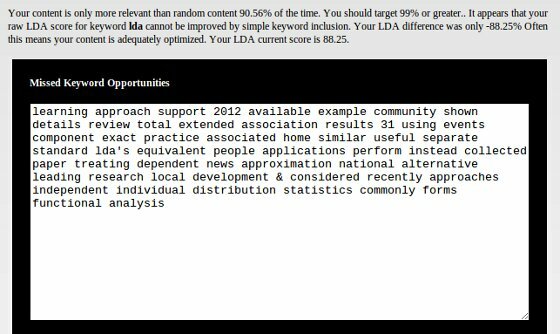 The tool computes the LDA relevancy score for that URL and keyword, and then, it identifies collocated keywords from top ranking pages that are missing from the given URL (and would improve its relevancy). When conducting keyword research, it’s always interesting to see which keywords your competitors are targeting. How much overlap exists between their keywords and yours? Are they targeting keywords that you haven’t considered? The following free SEO tools can help you answer these types of questions. SpyFu is a competitive keyword analysis tool that uses the freemium model. When you enter a domain, the tool displays summary information, which includes the domain’s daily PPC ad budget, the domain’s daily organic SEO traffic value, and a graph of the domain’s historical budget. The tool’s domain report also shows the domain’s top 10 paid keywords, ad competitors, organic keywords, and organic competitors. When you enter a keyword, the tool presents summary information, which includes the keyword’s CPC, average click count, and search volume. The keyword report also displays the top PPC domains, organic search results, and related terms. SEMRush is one of the older free SEO tools on this list, and its age is a clear endorsement of its value. The tool focuses on competitive research as well as keyword research. When you enter a domain or URL, you receive a report that includes the corresponding organic keywords, advertising keywords, organic competitors, advertising competitors, and more. When you enter a keyword, the report presents summary information (CPC, level of competition, average volume, etc. ), similar keywords, organic competitors, and advertising competitors. 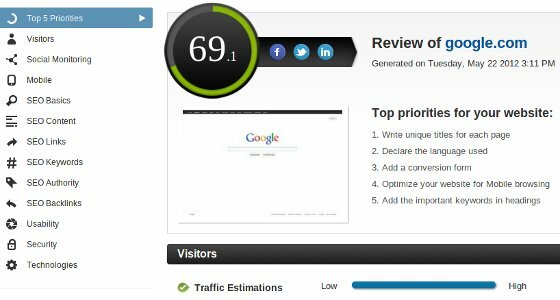 The tool uses the freemium model, and with a free account, you have access to 10 reports per day (and 10 results for each section of the report). For more information, consult the SEMRush manual. It provides useful videos and detailed descriptions of the tool’s functionality. As the social Web becomes more and more popular, it becomes more and more important to leverage it in your daily SEO activities. The following free SEO tools help you quantify social signals, discover popular social content, and identify influential social participants. Shared Count is a free online service (and accompanying API) that presents the most popular social metrics for a given URL. Currently, this list of social metrics is derived from Facebook (likes, shares, and comments), Twitter (tweets), Google+ (+1s), Digg (diggs), Pinterest (pins), LinkedIn (shares), Delicious (bookmarks), and StumbleUpon (stumbles). SocialMention is a free social media search engine that aggregates user generated content from 100+ social media sources, including Twitter, Facebook, FriendFeed, YouTube, Digg, and Google. You simply search for a topic, and the search engine will return the most recent results from the social Web, along with descriptive statistics for those results (e.g., sentiment breakdown, top keywords, top users, etc.). In addition to providing a search interface, SocialMention also offers daily social media alerts and an API. Follower Wonk is a Twitter analysis tool that uses the freemium model. The tool is great for identifying influencers, building out personas, or finding outreach targets for guest posts. As a free user, you are able to accomplish three tasks: (1) search Twitter bios for specific keywords, (2) compare the social graphs of up to three accounts, and (3) analyze the social graph characteristics of a single account (e.g., influence of the account, influence of the account’s followings, etc.). You don’t have to spend a fortune to receive high quality news coverage or to attract high quality writers to your site. The following tools will help you cultivate relationships with reporters, bloggers, and potential advertising partners… all for the low, low price of FREE! HARO is a free online service that allows reporters to connect directly with expert sources. As a reporter, you simply submit a query on HARO’s website, and then, that query will appear with others in an email, which is delivered to the sources. As a source, you simply monitor the stream of daily emails from HARO, and if you see a query that is relevant to your expertise, you can respond to the querying reporter directly. You can also find out about reporter queries by following @helpareporter on Twitter. 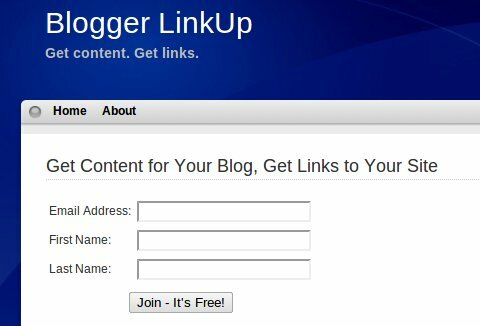 Blogger LinkUp (BLU) is a completely free service that allows anyone to request guest posts, sources for interviews, and product reviews from a community of users. If you have a request, you submit it on BLU’s website. Then, that request is aggregated with other requests and sent to the community in an email. On the flip side, if you join the free community, you will receive an email every Monday, Wednesday, and Friday that contains the most recent requests. If you see a relevant request, you respond directly to the requester. Update [3/19/2014:] MyBlogGuest has been penalized for violating Google’s Quality Guidelines, and as a result, we recommend avoiding the service. This entire list will be updated in the coming months so be sure to check back to see our updated free SEO tool recommendations. MyBlogGuest is a free community dedicated to helping bloggers write and publish guest posts. Once you sign up for a free account, you receive access to various forums that allow you to introduce yourself to community, search for sites looking for guest posts, and search for bloggers looking to write guest posts. The community also offers a searching mechanism that allows you to search for specific categories, tags, or users. In addition to the forums, MyBlogGuest provides an Article Gallery and an Infographics Gallery. The former is a database of available guest posts that blog owners can request to publish, and the latter is a collection of infographics that bloggers can include in their content. Ad Planner is a free online tool that helps you plan your media strategy. Specifically, the tool allows you to find websites that your audience is likely to visit so that you can use those sites for advertising, guest posts, or other outreach opportunities. Unless you know who is visiting your site and how they’re getting there, you’re basically flying blind. Analytics packages help remove the mystery by giving you actionable information about your site’s visitors. Currently, the interface is divided into 5 main sections: Audience (information about the people visiting your site), Advertising (information about your site’s advertising campaigns), Traffic Sources (information about where your site’s traffic is originating from), Content (information about your site’s most popular pages), and Conversions (information about your site’s goal completions and sales conversions). 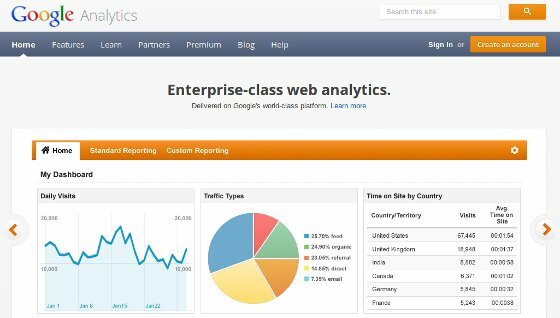 For a quick overview, check out the Google Analytics Feature List, and for a Google Analytics alternative, check out Piwik. When optimizing your site for the search engines, it’s a good idea to consult them whenever possible. The following free SEO tools will help you seek guidance from the search engines. 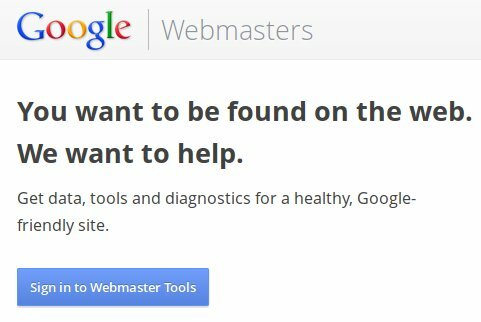 Google is the most popular search engine in the world, and as a result, Google Webmaster Tools (GWT) is one of the most useful free SEO tools available because it gives you direct access to some of Google’s information about your site. GWT presents information in 5 categories: Configuration (allows you to configure your GWT account), Health (displays crawling errors or malware found on your site), Traffic (shows search queries, backlinks, and +1s for your site), Optimization (helps you improve your site’s content and indexing), and Labs (experimental features). For more information, visit Google’s Webmaster Tools Help. Bing isn’t as popular as Google, but Bing Webmaster Tools (BWT) is still an extremely valuable tool because it allows you to view your site through the eyes of yet another search engine. 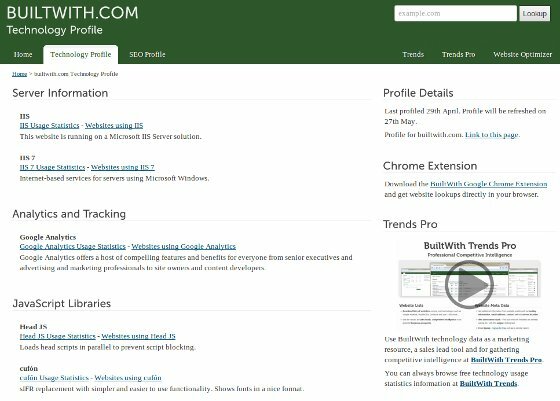 BWT displays information in 5 main sections: Dashboard (shows traffic, index, and crawl summaries), Crawl (displays crawled pages and errors), Index (presents indexed pages and backlinks), Traffic (identifies traffic sources and CTRs), and Keywords (Bing’s keyword research tool). Update [8/16/2012]: blekko no longer offers free SEO data (it’s now $99/month – insane, I know.) For now, I’m keeping them on the list for nostalgic purposes, in hopes that they eventually come to their senses. blekko is a search engine that has been steadily gaining popularity over the years. Unlike its bigger and more recognized competitors (e.g., Google and Bing), blekko is significantly more transparent about its index information. Specifically, every search result has accompanying SEO data, which includes backlinks, duplicate content analysis, and crawling stats (e.g., number of crawled pages). The last category includes free SEO tools that analyze a given Web page and assign an SEO score to it based on various criteria. WooRank offers an instant website review. The tool uses the freemium model, and without a premium account, you are limited to generating only one free report per week (but you can still query reports that have been previously generated). The tool’s report is currently divided into 13 sections: Top 5 Priorities, Visitors, Social Monitoring, Mobile, SEO Basics, SEO Content, SEO Links, SEO Keywords, SEO Authority, SEO Backlinks, Usability, Security, and Technologies. 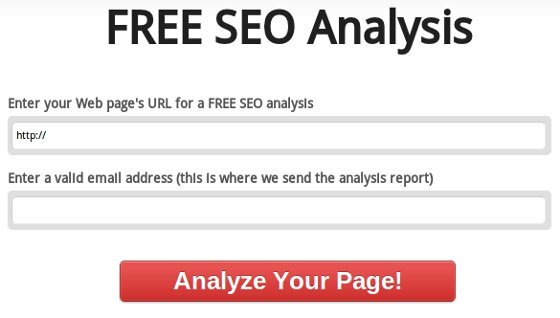 The last tool on the list is a shameless plug for our free SEO analysis. You simply enter a URL, and then, the tool sends you a report that covers 20 important on-page SEO best practices, which are divided into 5 categories: Accessibility, Content, HTML Markup (<head>), HTML Markup (<body>), and URL. I would love to hear from you in the comments. Which of these tools is your favorite? What other free SEO tools should everyone know about? Fantastic article! Thanks for all the free tools…much appreciated. Great list – thanks for this Steve! This tests structured data markup (microformats, microdata, RDFa – and, to a certain extent, Open Graph metadata) and validates that Google can correctly parse the data. It displays errors in the case of invalid markup, and for valid markup attempts to provide a display of a rich snippet that might be generated for the content, where applicable. A recent improvement now permits direct entry of code, in addition to the original validation of URLs. Thanks for your kind words Aaron! And I completely agree with your suggestion. Google’s Rich Snippets Testing Tool is incredibly valuable, and it will become even more useful as Google continues to use more rich snippets in the SERPs (and as the Knowledge Graph becomes more integrated). I haven’t played with Keyword Eye before, but it looks cool. I’ll have to play with it more. I use Google Adwords tool and UberSuggest a lot. Also have an SEOMoz account. This is a great list. Looking forward to exploring them! Thanks Vic! I’m really glad you like the list 🙂 Have fun exploring the tools! You’re very welcome Rama. I’m glad you enjoyed it! Really well done. I just bookmarked about 10 of these. 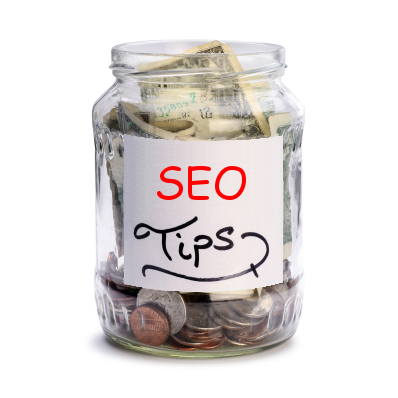 We use SEO Spider Tool and SEOmoz (OSE) which are both very powerful and useful SEO tools. There are some others on here which I will definately take a look at. You’re very welcome… thanks for the comment! very usefull list. thank you for sharing. Thanks for the suggestion Linda! very Innovative tools, its really awesum to work with them and boosting links, I enjoyed a lot reading this article. Great set of SEO tools. Good article and it’s very useful. Great stuff! Have used a bunch of these. Love the free stuff as a freelancer 🙂 Seoptime seems like an interesting new acquaintance. I’ve also been using http://www.cuutio.com for a while. They haven’t been around for long but offer a free service for keyword positions, competitor comparison metrics.. stuff like that. What makes it interesting is the history data for each keyword (like top100 results for every week) with e.g. highlighted competitors. They also report adWords positions but it doesn’t seem to be accurate all the time. The negative thing for me is I can get only 10 keywords and 3 competitors monitored for free. I’ll have to check out that keyword service. Well done Steve, you did a great job. This kind of list should be updated after a span of time as due to SEO environment changes unexpectedly. I found few new tools which I never used. Aside I use SEO Book toolbar, It gives you all basic features that you need to use in daily routine. Please share your thoughts If you’ve used SEO Book toolbar. I have used SEO Book’s toolbar in the past, but it’s been a while (I didn’t include it in the list, but I linked to it in a previous comment). I’ll have to give it another whirl 🙂 And I completely agree with you about keeping the list of tools updated. When you search for similar lists of free SEO tools, they’re flooded with links to defunct tools such as YSE. I’ll do my best to avoid letting that happen to this post. Exactly!!! My point was exactly towards YSE. Sure Steve. But so far the list is pretty excellent. Thumbs up! useful SEO tools thanks for sharing with us . Nice article Steve! 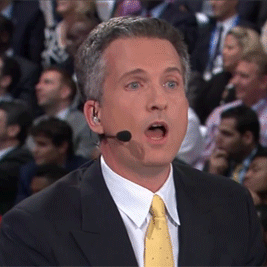 All listed, I think you don’t forget anyone…or almost. I would add ScrapeBox because even in White SEO, it’s awesome. Hi Steve! Thanks for sharing this post. The tools you listed here sure are useful. Although blekko is pretty new to me. I visited it and, I must say, it looks pretty good. I’ll be sure to check it out more. Aside from socialmention, we’ve been checking Topsy.com as well. It looks promising, too. You know, we’ve also compiled a list of free SEO tools. 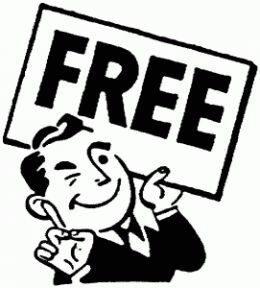 It’s an eBook titled 18 Free and Commercial SEO Tools (http://wirewalkersva.com/18-free-and-commercial-seo-tools-1/). Please check it out when you have the time. It’s Free to download for everyone. I’m also a big fan of Topsy, but I didn’t want to go overboard with social media tools on this list. If I ever make a social-specific list, Topsy will definitely be on it. This is a seriously good list and well presented. Spyfu is one I wasn’t using but am now for sure. Thanks for the comment Brandon; I’m glad you enjoyed the list of tools. Good luck with your new site… and with attracting backlinks! Thanks Steve for a brilliant list of SEO tools. Many new to me. Wow, definitely a huge list Steve, nice job. It’s crazy how many tools there are out there. Which has 77 tools and the demo can be used for free. I’m glad you enjoyed the list 🙂 Thanks for including the Scriptalicious scripts. wow, thanks steve for thes huge list updated free SEO tools list, here i would also like to share a link http://www.quora.com/What-are-the-must-have-tools-for-SEO-professionals will help if some missing for users may need also! Thanks for the comment 🙂 I’m really glad you enjoyed the list! The funny thing about that Quora thread is that I already summarized this post on there 😉 But I agree with you… it’s a great place to find even more free SEO tools. I just checked the tool you mentioned, and you’re right: it provides a lot of helpful SEO information. Thanks for the pointer! Great list! Thanks for sharing this with us. I also use builtwith.com. That Tool tells lots of information about what is sitting behind a website – e.g. framework, CMS, analytics package etc. Thanks Perry! You’re absolutely right… BuiltWith is one of my absolute favorite free SEO tools. 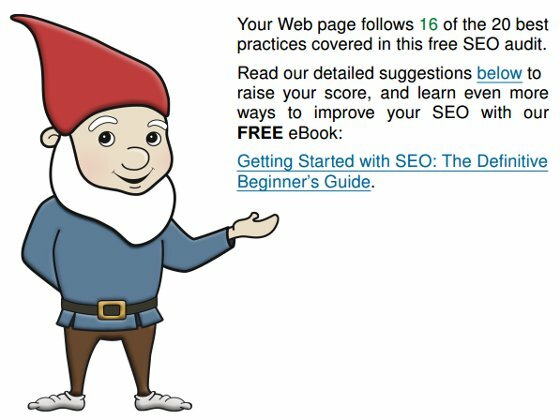 Great list of free SEO tools! Thanks for sharing! You’re very welcome Bryan 🙂 Thanks for commenting! I’m really glad you like the list of free SEO tools 🙂 Thanks for commenting! Steve, great list! I think I use 22 of these at least semi-regularly. Would love to hear your thoughts on it. Thanks again. I’m really glad you like the list 🙂 I’ll be sure to take a look at your free SEO tool. Thank you so much for the information. I am still a bit green in knowing what tools might be useful for our small business. Additionally, since we are not trying to target the general population but rather professionals within the industry, I am wondering how “Advanced” I might need to be with some of these tools? Again, I am grateful for the information! You can derive value from all of these free SEO tools, but since you’re a small business, I also recommend GetListed.org. It’s an excellent free tool for identifying local citations that need to be added/modified/etc.